The beautiful trail snaking through rhododendron and oak trees is rocky but has excellent views of the valley. Traveling on foot allows you more freedom to explore and discover a culture on its own terms, processing the experience and the landscape as you walk. Putting your patience and perseverance to the test, it’s also an opportunity to reset your own life to a different pace for a period of time. 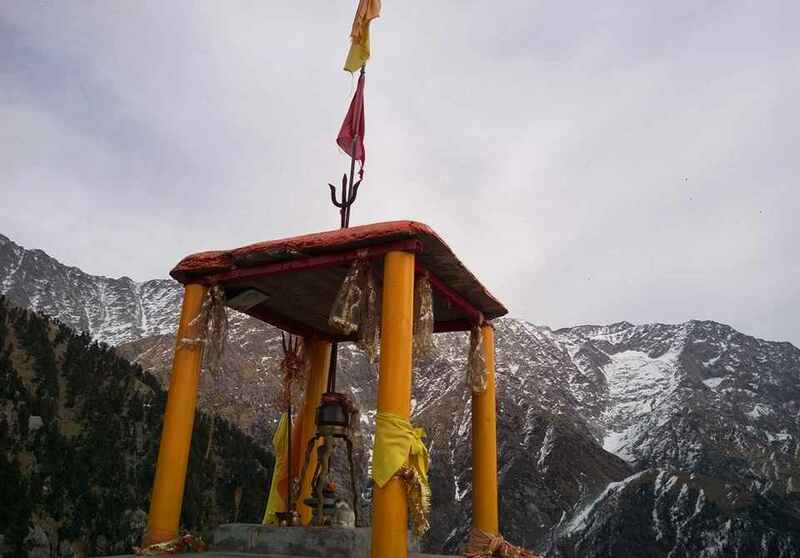 The oldest migratory route which is seasonally used by shepherds of Chamba and Kangra districts, Triund is one of the most hiked places in Himachal Pradesh that has gained huge popularity in last two years. And why not? 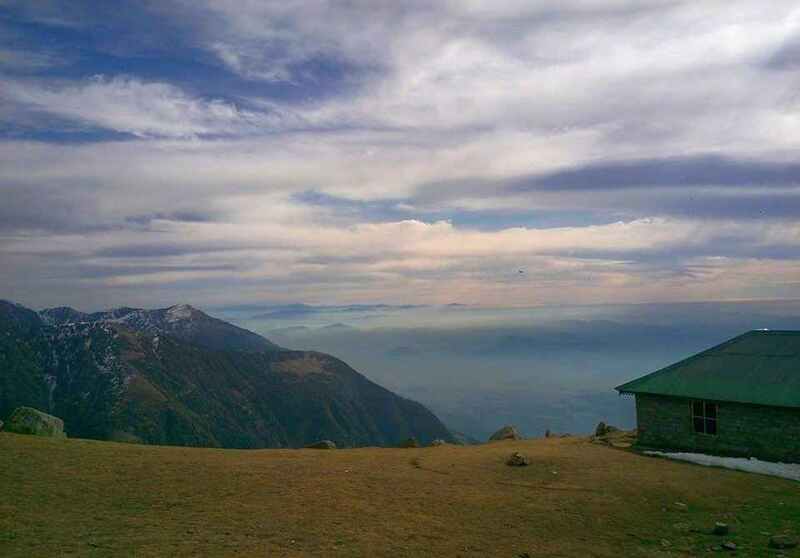 It is convenient to travel, easy to hike and holds an admirable view of the Dhauladhar Range. The exquisite view of the strenuous snowy peaks, night sky filled with stars and sparking lights of Kangra Valley will leave an impression on your mind forever. 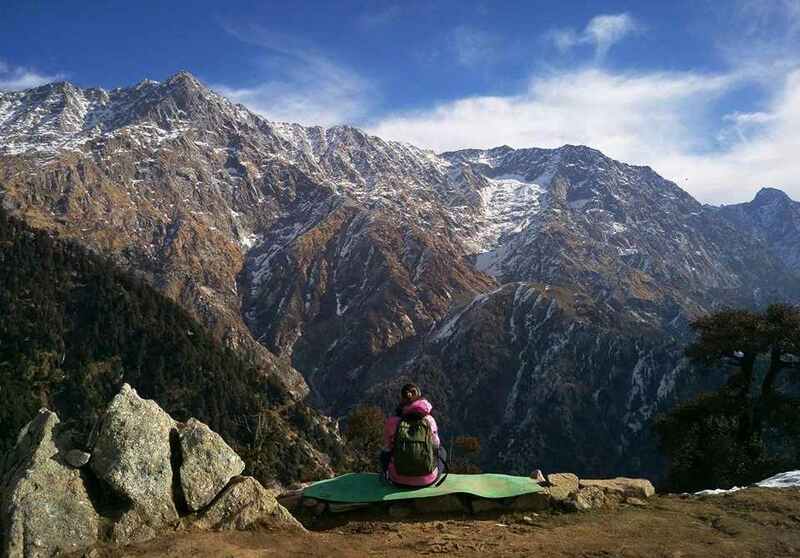 Triund can be planned for a weekend for people staying in Delhi, Haryana, Chandigarh, Himachal Pradesh and Uttarakhand. 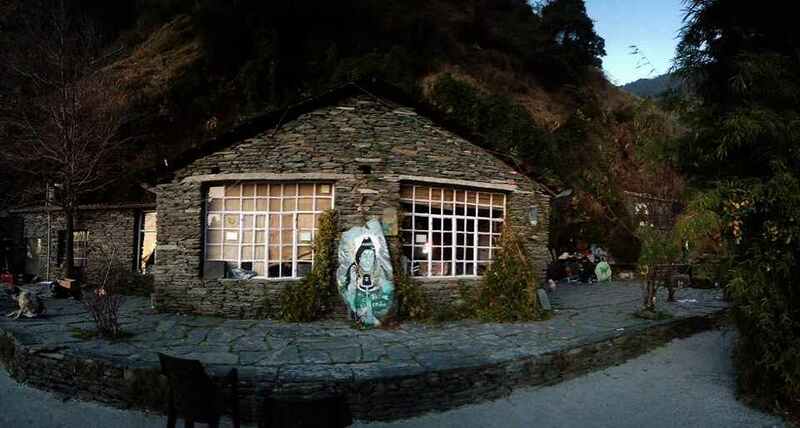 It is at a distance of 18 km from Dharamsala and 9 km trek from Mcleod Ganj, Himachal Pradesh. We went in the last week of December, 2015 for the New Year’s Eve in hope to see some snow. We booked a private Volvo from Red Bus as all HRTC busses were already booked. From Delhi, the Volvo takes almost nine hours to reach Dharamsala. We boarded the bus at 8 p.m. and reached McLeod Ganj by 5:30 in the morning. The hike is rocky but has excellent view of the valley. Don’t worry about the mid-time meals as you will find few cafes on the way that serve tea with bread-omelet and Maggie. It is a refreshing walk amongst rhododendron and oak trees. If you choose to go in winters, you can find some snow on the last 1 km stretch, which makes the way a little sloppy, so wearing the right shoes is always recommended. The last 30 minutes can be exhausting, but once you are there it will be all worth it. 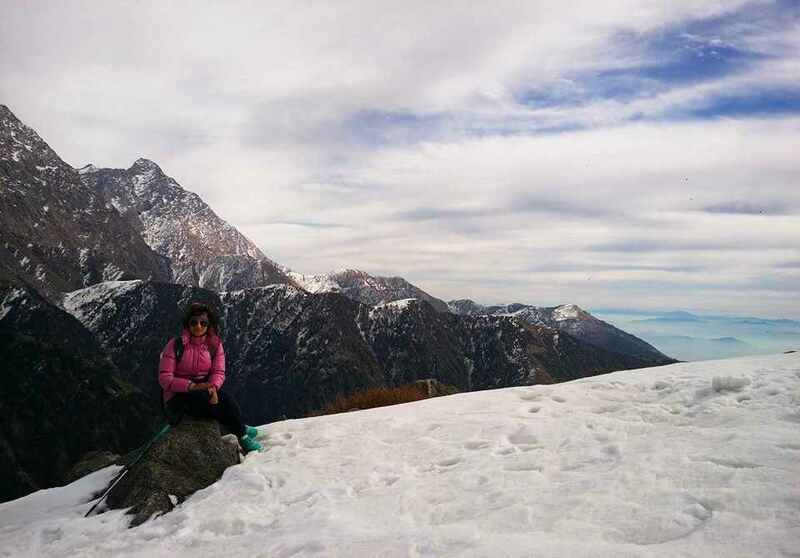 The snow-covered Dhauladhar Range will be on your face and will leave you speechless. 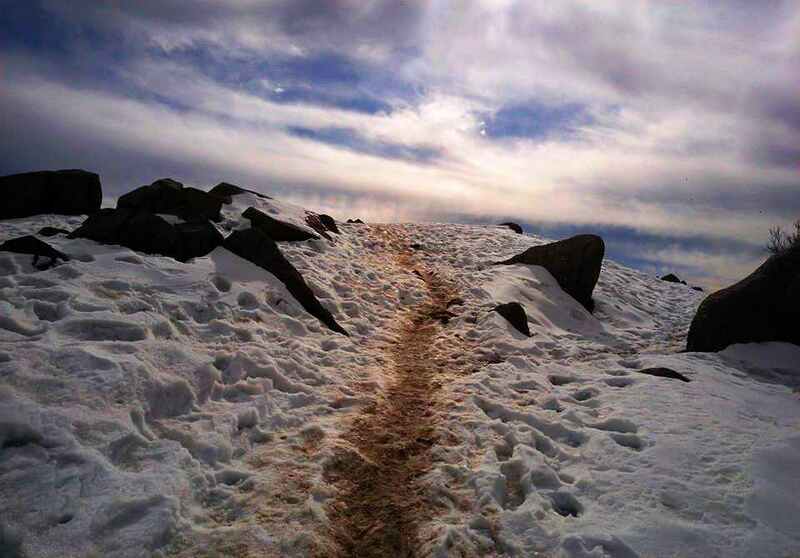 If you have a thing for snow, take a second day trek to snowline. Laka Got situated at the snout of a small glacier which is now called the snowline. 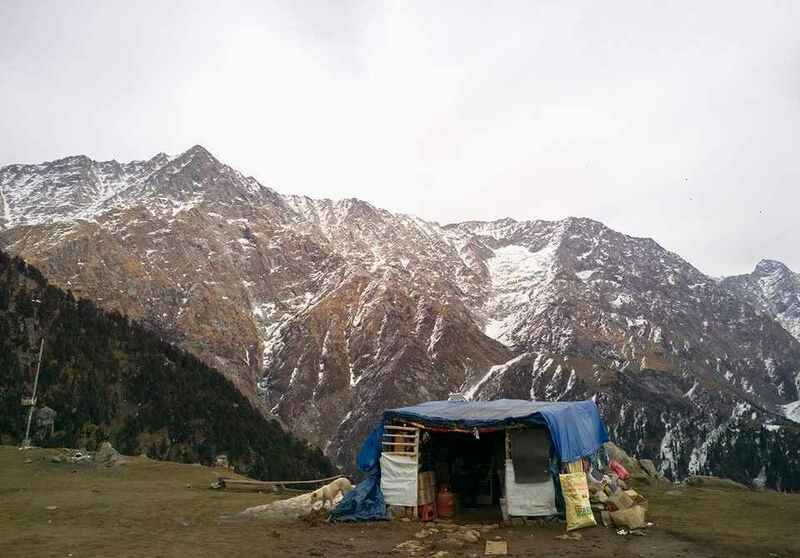 It is also a base camp for people trekking forward to Indrahar Pass. It is 4 km ahead of Triund. 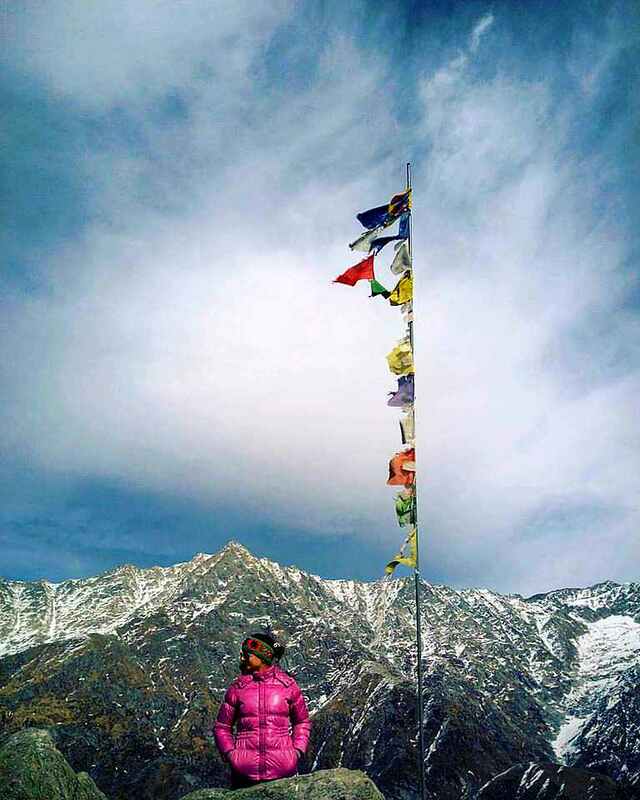 You can hit the top and come back down to McLeod Ganj on the same day. 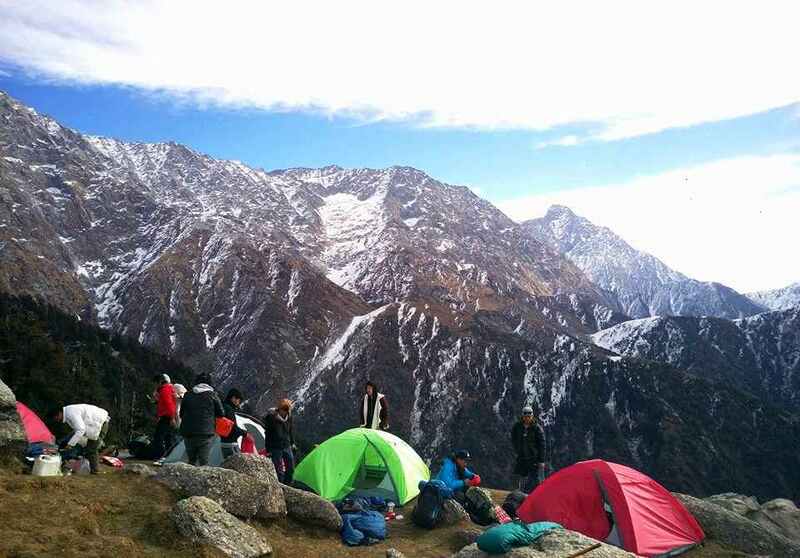 For camping at Triund top, you must book a camp/cottage in advance. 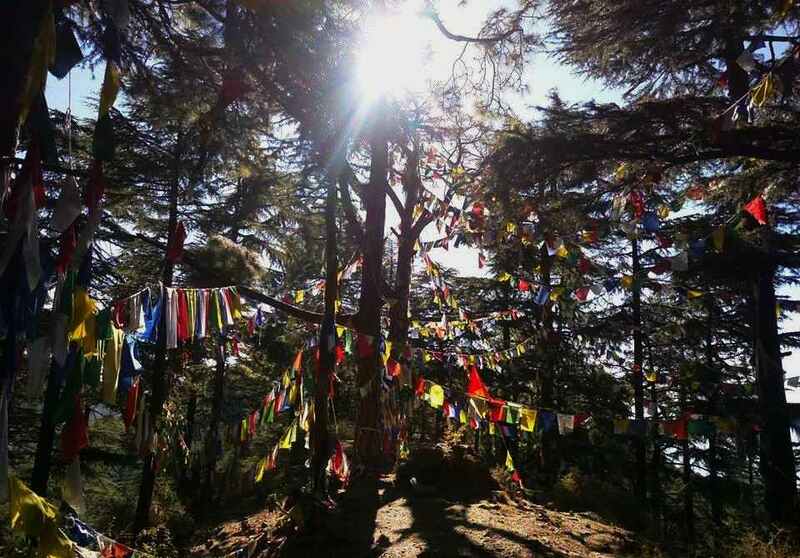 If you can spare a day, spend it in McLeod Ganj. 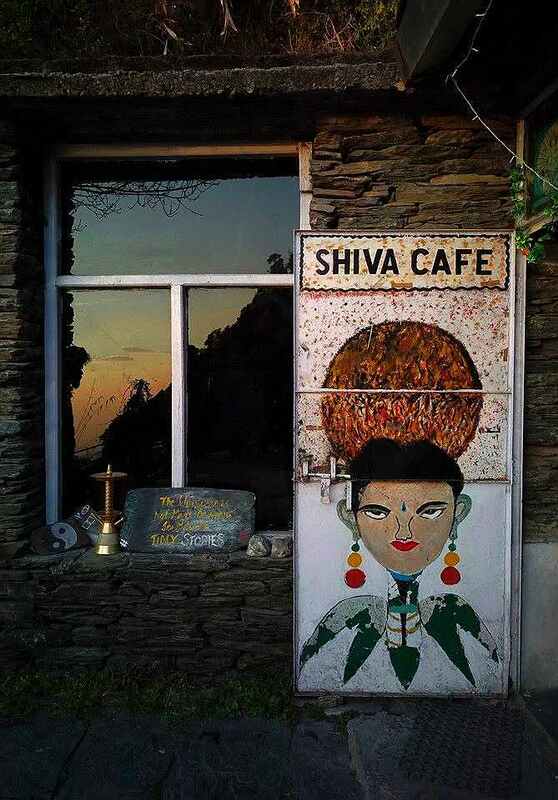 Visit the monastery, explore the market, eat in the modern cafes, visit Bhagsu Fall and chill in Shiva Café.